If you haven’t heard of “Nollywood”, here is a quick primer. It’s shorthand for the Nigerian film industry and it’s impressive rise from upstart to full figured industry. It has been one of the most interesting stories in international film in recent years and continues to develop in some surprising ways. 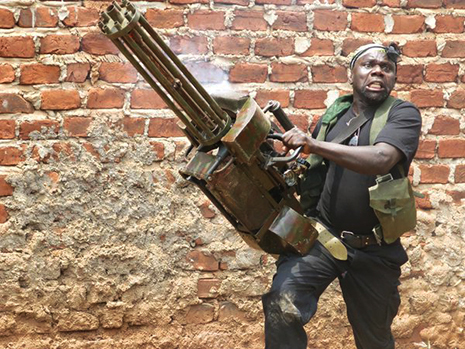 Now it looks like Uganda wants to get in on the action, and the Ugandan Expendables looks like one helluva way to do it. This movie comes from Wakaliwood, which operates out of the village of Wakaliga. Their first production was Who Killed Captain Alex, a movie that can be see here for free on youtube. It’s terrible, but it’s also filled with lovable do it yourself charm. 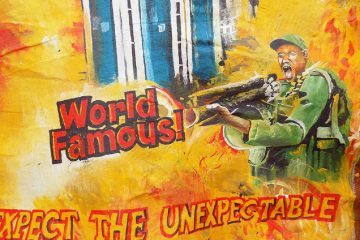 Check out the trailer below Operation Kakongoliro: The Ugandan Expendables, a movie “cooming soon” that looks to be packed to the gills with intense do it yourself carnage and terrible special effects. I love it! If you want to support this budding industry you can visit their patreon here. Enjoy! Previous ArticleLAUNCH TRAILER: 'NOT A HERO' BLASTS OPEN DOORS, MINDS...AND HEARTS. AW. Next ArticleEXPLODING HELICOPTER: IS 22 JUMP STREET REALLY 'SOMETHING COOL'?